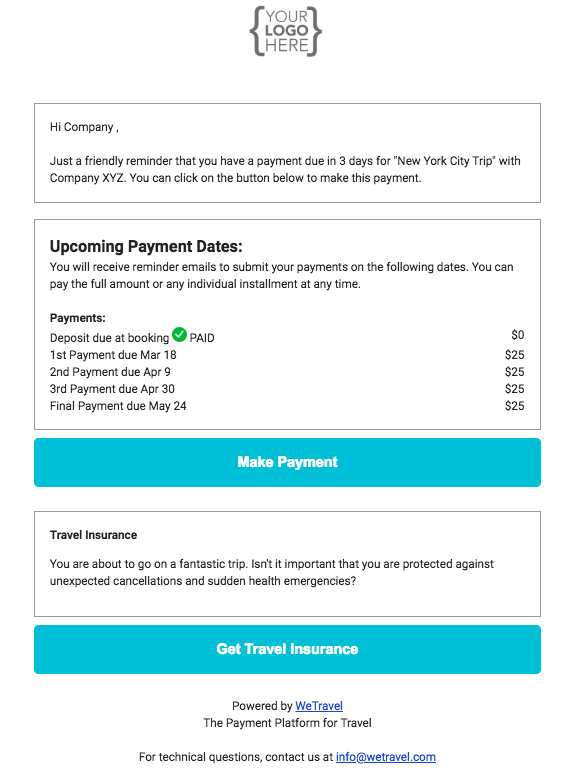 What reminder emails does WeTravel send for payment plans? Learn when and what kind of automated emails our system sends to participants who are enrolled in a payment plan. If 3 days after the due date, the participant still has not paid, you will receive a notification from WeTravel to follow up personally with this participant. If the participant pays after the first reminder emails, the other reminder emails will not be sent. You will also receive a copy of the receipt each time a participant pays an installment. So, in our example where the installment is due on January 10, the participant will get reminders on January 3, and if necessary, again on the 7th, 10th and 12th. If on January 13 they have still not paid, you will get a notification. Can participants pay an installment before the due date? Yes, participants can pay the next installment at any time, even before the due date. Can participants pay more than one installment at once? Participants can pay either their next installment or the entire balance due. Can I automatically collect outstanding balances on a certain date? 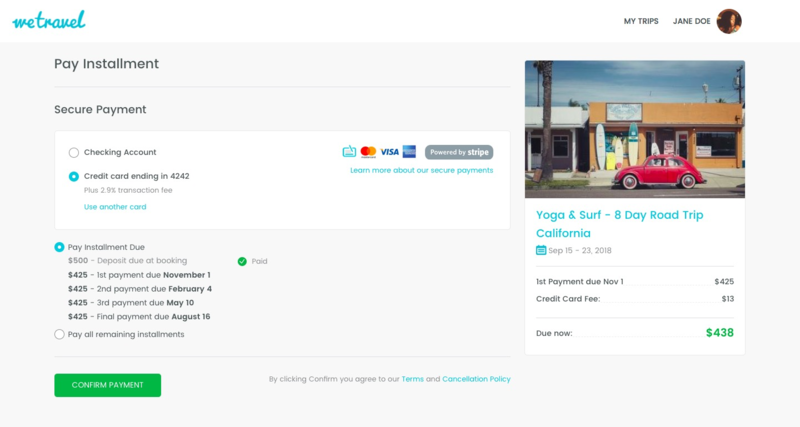 Yes - here's how to do it using the payment plan feature. See this article for all things payment plan related, or contact us if you have any further questions.